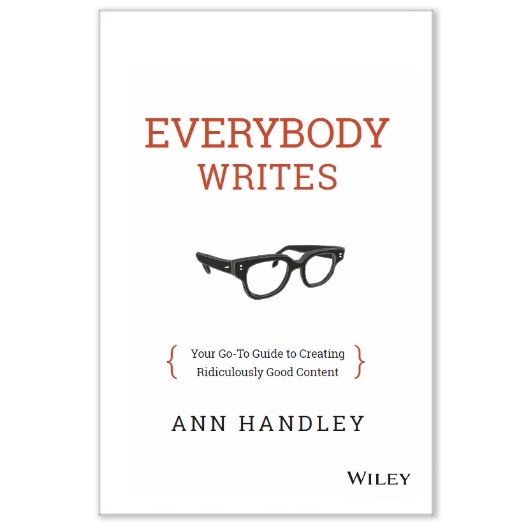 Ann Handley is a veteran of creating and managing digital content. She's also chief content officer here at MarketingProfs. Ann co-authored the best-selling book Content Rules: How to Create Killer Blogs, Podcasts, Videos, Ebooks, Webinars (and More) That Engage Customers and Ignite Your Business. 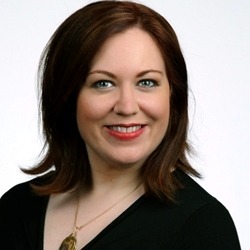 She's a sought-after keynote speaker for all things marketing-related, and she writes a regular column for Entrepreneur magazine. She's also a LinkedIn Influencer as well as a mom and writer. Everyone can be a better writer (or at least learn to hate writing less) (05:46): "I think a lot of times, people...equate writing with grammar... Grammar's important, certainly, but it's not just about grammar. The second thing is, a lot of people have these...traumatic experiences from their childhood. They're sort of 'recovering writers' in a way, because somewhere along the way somebody told them that they were a bad writer, or someone mocked them for their writing, or they have some sort of trauma around it. What I really wanted to do with this book was to remove a lot of that anxiety for people who have had those experiences. I call them 'adult onset writers' in the book. Make them a little bit more comfortable and a little bit more willing to try to be...better writers." Great writers aren't born, but they can be made (08:00): "[Writing] didn't necessarily come naturally for me, either. I always enjoyed writing...but at the same time, it's not like it was a magical thing that just came to me in a dream and I woke up and was an amazing writer. I've had to work at it year over year. Even now, when I go back and read something that I wrote as few as four or five years ago, I go 'oh my gosh...' There are some things that I read...that I think 'I was overwriting a little bit there: I sound like a hormonal teenager. What was I thinking about?'" Train yourself to notice how others write (13:33): "I'm reading The Giver [by Lois Lowry] and I'm reading it on two levels. I'm kind of looking at it for the story... but another part of my brain is also looking at how she's structuring this story, and how she's letting pieces of information out. And it doesn't feel like writing when you're reading Lois Lowry, because she is such an amazing craftsperson. She's such an amazing writer. But when you sort of tune your ear to this idea that everybody writes—that this is the way that we do communicate—I do think you start to notice little things like that. Which isn't to say that marketers should aspire to be at a Lois Lowry level, but nonetheless it's just like watching a really awesome match at the U.S. Open: It helps you to become a better tennis player, because you can see 'oh wow, that's really interesting: I wouldn't have gone for the shot that way.' It's just [about] getting inspiration from the world around you, and not just what's right in front of you."